I came across this great article about the Bicarbonate Levels in dialysis from the American Journal of Kidney Disease. 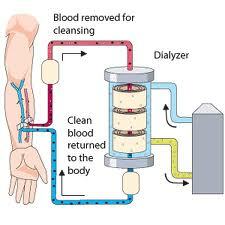 It’s a bit technical but it’s an important topic for us dialysis patients. Read it and I will post more about this later. CLICK HERE to read it. This entry was posted in Bicarbonate, dialysis, ESRD and tagged Bicarbonate, CKD, dialysis, ESRD, hemodialysis, kidney, patient, treatment. Bookmark the permalink.